Elizabeth George, whose books have sold more than 6.5 million copies, is the author of A Woman After God’s Own Heart® (more than 1 million copies sold) and Breaking the Worry Habit Forever! She’s also a popular speaker at Christian women’s events. Elizabeth and her husband, Jim, are parents and grandparents, and have been active in ministry for more than 30 years. Elizabeth George, bestselling author and mother of two daughters, provides biblical insight and guidance for every mom who wants to lead their daughter to a godly life through example, study, and prayer. Elizabeth includes questions to draw moms and daughter closer as together they pursue spiritual priorities and God’s heart. The bell sheep? What in the world is that? I wondered. I read on. The article explained that when a shepherd noticed a sheep who willingly followed him and stayed near him, he hung a bell around the neck of that sheep so the flock would follow the bell sheep…who, in turn, was following the shepherd. And it’s true! When we as mothers stay close to Jesus—as close as close can be, and when we love Him with all our heart just the way Jesus said to, and when we willingly follow Him and His Word, guess what? We become His bell sheep for our daughters to follow. Our girls observe—and copy—our behavior. They can—and will—follow our example. We become their very own personal walking, living, real flesh and blood, visual example of what it means to be a child, girl, tween, teen, and woman after God’s own heart. You shall love the Lord your God with all your heart, with all your soul, and with all your strength. And these words which I command you today shall be in your heart. You shall teach them diligently to your children, and shall talk of them when you sit in your house, when you walk by the way, when you lie down, and when you rise up. I adore these verses because they are packed with clear communication to moms. God goes straight to the heart of the matter—the parent’s heart, the mom’s heart. He knows we become what we love. So He is utterly straightforward about where we are to place our love: We are to love Him supremely. Heart Question #1: What—and whom—do I love? We “love” a lot of things for a lot of different reasons. But God prescribes perimeters and scope for our love. He tells us what not to love: “Do not love the world or the things in the world” (1 John 2:15). And He tells us what we are to love and where our love is to be focused—we are to “love the Lord” (Deuteronomy 6:5). Matthew Henry continues on to point out that our love for God is to be a strong one that is lived out with great enthusiasm and fervency of affection. It is to be a love that burns like a sacred fire, a love that causes our every affection to flow toward Him. Now, apply this information about the strength of this kind of love for God and think about the love you have for your daughter, for your children. I’m sure you’ve heard others say, “There is no love like a mother’s love.” And it’s true! From the split second we know a baby is on the way, all our thoughts, dreams, prayers, and goals are channeled toward that little one. We are completely consumed and preoccupied by this tiny being. As the baby grows within us, our love blossoms and our commitment to it grows right along with our expanding body. Immediately we begin to prepare physically for his or her arrival by meticulously taking care of our health. Healthy mom equals healthy baby, we’re told. We also prepare physically by setting up a nursery area for the new little addition. A bassinet or crib. A blanket. A mobile. Clothes. Supplies. Loads of diapers! Sometimes we even paint or remodel a room. Then we moms get to work preparing our schedule. Maybe we have to quit a job or arrange for a leave of absence. Oh, and we have to find a pediatrician, as well as make time for our own doctor appointments. And, if we’re smart, we begin to prepare by gathering wisdom and information from our own moms, other moms, and from classes, books, and the Internet. But as much as we obsess and focus on an approaching child, God wants us to obsess and focus even more on Him. That’s because the more we love Him, the more we will know about love. And the more we know about love, the more we will know about how to love. And the more we know about how to love, the more we will love our baby, our child, our daughter. I like what C.S. Lewis wrote about his love for God and how it affected his relationship with his wife: “When I have learnt to love God better than my earthly dearest, I shall love my earthly dearest better than I do now.” Mom, your love for God will prepare you to love your child. The more you love the Lord, the better you shall love your earthly dearest daughter. So…God’s first assignment to any and every mother is to love Him above all else. If you are a sold-out, on-fire, hot-hearted, committed-to-God woman, you will be infinitely further down the road to being the kind of mom who, by His grace, can raise a daughter after God’s own heart. Because all your love centers upon God, and because you follow Him with all your heart, you will qualify to lead your daughter to follow God too—to be…well…God’s bell sheep for her. Heart Question #2: What’s in my heart? I don’t know what’s in your heart, and I’m working on what’s in mine! But God tells both of us what is supposed to be there, what He wants to be there. Here it is: He says, “These words which I command you today shall be in your heart” (verse 6). And here’s the scene surrounding these words: In Deuteronomy 6, Moses is in the final weeks of his life. It has been 40 years since God’s people left Egypt, 40 years of homeless wanderings in the desert. At last a new generation was poised to enter into the Promised Land. But before they move out, Moses restates the Law one more time to this new generation that had been born in the wilderness. Because this next generation had married and now had—and would have—children, he addresses their spiritual responsibility as parents. As Moses speaks, he doesn’t want these moms and dads to merely hear the words of the Law and the Ten Commandments. No, he wants more, way more! He wants the words of the Law to go beyond their ears and reside in their hearts. This Book of the Law shall not depart from your mouth, but you shall meditate in it day and night (Joshua 1:8). Your word I have hidden in my heart, that I might not sin against you (Psalm 119:11). My son, keep my words, and treasure my commands within you…bind them on your fingers; write them on the tablet of your heart (Proverbs 7:1,3). The message is repeated…and loud, isn’t it? And clear! God’s Word is to be in our heart. He asks this of you and me as moms. Why? Because when truth resides in your heart, then you have something to pass on to your daughter. She benefits! And you benefit too: As a mother you have something to guide you when you need help, strength, wisdom, and perseverance in your role as a mom, as a bell sheep. Don’t get me wrong—having and raising a child is perhaps the greatest earthly blessing you will ever enjoy. But, at the same time, it is the greatest challenge. But take heart, mom! God’s Word will always be there in you, with you, and for you as you guide your daughter in the ways of the Lord. So…God’s second assignment for you as a mom is to be committed to His Word. You are to do whatever it takes to embed the teachings of the Bible in your heart, soul, and mind. As the saying goes, “You cannot impart what you do not possess.” The same is true of moms. To teach and guide, lead and raise a daughter after God’s own heart presupposes and requires that God’s truth be in your heart first. Then you possess something to impart. Then you have the most important thing to pass on to your precious daughter—the truth about God and the grace He extends through His Son, Jesus. I hope your heart is responding fervently to our initial glimpse at this primary role in the life of a mom after God’s own heart—that of being your daughter’s very own bell sheep. But maybe you are feeling like you need a little help. Well, read on to find out how to become the bell sheep. Practical help is on the way! When my girls were young, I didn’t know about the bell sheep. But if I had, I would have wanted with all my heart to be one. And I would have been praying, “Oh, dear Father! You know how much I desire to be a bell sheep for my daughters. My greatest goal in life is to lead them to Jesus and teach them His ways.” I’m imagining this same heart-cry is being lifted heavenward from your soul’s core too. As you’ve probably learned, knowing there is something God wants you to do is crucial. And wanting to do what God wants you to do is vital. But if you don’t know how to do what it is God wants you to do, you can become extremely frustrated. So now we come to the big issue of how do I do this thing God wants—and expects—me to do? Well, here we go! 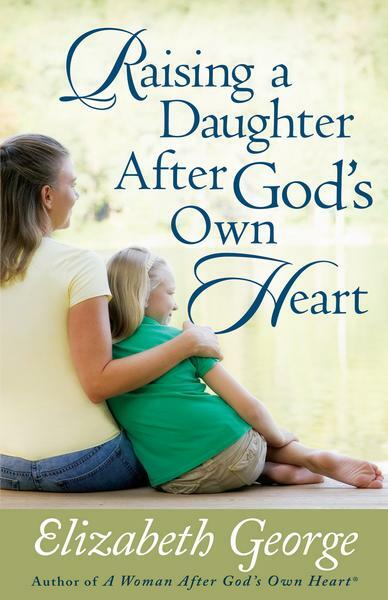 How does a mom help her daughter develop a heart for God? Deuteronomy 6:7 comes to the rescue and answers this question for you and me. God says, “You shall teach them diligently to your children” (verse 7). A mom who wholeheartedly loves the Lord and holds God’s words in her heart is to teach them to her sons and daughters. — “To teach” There are two key ways to teach—by model and by mouth. And there are some basic practices you can follow for teaching effectively. I have a degree in education and have taught preschoolers, students from grades seven through twelve, and adults taking night school classes. Teaching was a job and I took it seriously. I developed my lesson plans for each day, week, month, semester, and school year. And I studied and prepared in advance for each day’s classes. I also have a daughter who homeschools. I am in constant awe of her commitment. She plans out each year. She searches for materials for five children and their respective grade levels. She orders curriculum to arrive well before back-to-school day so she can preview it. Then she plans in advance the best way to teach, lead, and guide the five of them through each day of study. Now picture this: I taught subjects that had nothing to do with God or with being a Christian, and so does my daughter. Imagine the effort we both put into teaching information and facts. And here in Deuteronomy 6:7, God is telling both of us—and all moms—to teach our children His Word, His ways, His truth. Now, this is life-changing stuff! The Bible is wisdom that will guide their lives and their choices. It is truth that will pierce a heart and bring a daughter to Christ. So be aware that every time you teach God’s Word you, the bell sheep, are ringing your bell! You are signaling to your daughter the priceless value of the treasure of the Scriptures. This is exactly what happened in the New Testament to Timothy. As the apostle Paul said of Timothy, his trusted associate in ministry, “from childhood you have known the Holy Scriptures, which are able to make you wise for salvation through faith which is in Christ Jesus” (2 Timothy 3:15). God’s Word is dynamite! And Timothy’s mom and grandmom, a mother/daughter tag team after God’s own heart, were faithful to ring their bells! They were faithful to teach him the sacred truths of the Bible, which paved the way for Timothy’s salvation. Mom and grandmom did their part—they fulfilled their mission to teach God’s saving truth. And God certainly did His part! …instructing your daughter in God’s ways? …planning to some extent how you will accomplish this goal? …scheduling a time each day for some kind of formal Bible time with her? …encouraging her to have some time alone with God, a quiet time? …coaching her in ways to have daily devotions? …searching for age-appropriate materials and talking with other moms about how they teach their children biblical truth? …praying daily about this mission from God, this teacher role He has personally given you? — “To teach diligently” Next God tells us in verse 7 to “teach them diligently to your children.” The “them” is what you are to teach—God’s Word and His commands. And “diligently” is how you are to teach—being purposeful and conscientious in a task or duty. Think about this for a minute: What are you diligent about? Some women diligently floss their teeth. Others are so diligent they would never miss their daily exercise or walk, or be late to work, or fail to pay a bill on time. I know women who are so serious about every bite of food they put into their mouths that they diligently record what they eat in a daily log. On and on goes the list of life instances in which women choose to be diligent instead of careless, or lazy, or negligent. Now switch your thoughts to doing what God says, to being diligent to teach spiritual truth to your daughter…versus leaving this all-important assignment to someone else, such as a church leader or a Christian school or a grandparent. Don’t get me wrong! These are wonderful and needed resources. But they are to be your partners in imparting truth, not your substitutes. You as a mother are to be the bell sheep who rings the bell of truth like crazy! You, mom, are to be the primary model and teacher of truth to your daughter. Well, thank the Lord He doesn’t leave moms on their own. This isn’t mission impossible. No, it’s mission possible. God knows most moms don’t have a degree in education or training in teaching. And, whew, God doesn’t expect this or demand it! Aren’t you glad? Instead, He tells us how to teach and what this teaching involves. He says, “You…shall talk of them when you sit in your house, when you walk by the way, when you lie down, and when you rise up” (verse 7). Step 3, teach His truths diligently. By…what? Talking?! You mean that’s all? That’s it? Yes, that’s it—by talking. Now I ask you, you’re a woman. How hard can talking be? Why, we girls are the world’s experts when it comes to talking! And note where all our mother-to-daughter talking and teaching is to take place—at home. Nothing could be easier or more natural or more convenient than home sweet home! You don’t need elaborate plans. You don’t need to dress up or go anywhere. You don’t need to start the car. And you don’t need to spend any money. No. God simply says that “when you sit in your house,” you are to talk about Him. Whew again—this one’s easy! You sit to relax. You sit to eat. You sit to visit. You sit to read. You sit to work on a craft together. And you sit whenever you’re in the car together. No matter what your daughter’s age is, these natural, low-key, sitting instances provide prime opportunities to talk about the Lord and His love and His promises…and His Son. Got a newborn? You will walk…and walk…and walk each time you calm your crying, ill, or restless baby. And you’ll put in miles pushing her stroller. And you’ll find yourself talking baby talk to her. I laughed out loud when I read this true-to-motherhood quip: “Being a mom means talking to your baby all the time.” So go ahead and talk all you want. It will develop the habit in you—and tune your baby girl’s heart to your voice. How about a school-age daughter? If you walk your young daughter to school or to and from the school bus stop, you get to talk about the Lord. Tell her how He will help her through her time at school, with her test or report, with making friends. If you walk to the mailbox down the road, take your daughter along and chat about the wonders of the Lord and what it means to know Him. Let her know how she can trust Him and talk to Him anytime, anywhere, and ask for His help. When you walk together through the grocery store or the mall, again, make that an opportunity to talk about God and His provision and blessings. If there’s a breathtaking sunrise, sunset, rainbow, or wonder of nature—a bird’s nest, blooming flowers, even something as small as a dandelion, go outside and marvel at God’s handiwork together. And while you’re at it, do as the psalmist did and “talk” of His doings. “Praise” the Lord for His mighty acts and His greatness. “Declare” His faithfulness. And then come the teen years. Hopefully you and your daughter have developed the habit of talking to each other about any and every thing, and especially about the Lord. So during her teen years, when things can get a little weird, and she may even see you as a little weird, you can still talk because of your history of talking. Believe me, if you are available, and care, and give her your love and attention, she will spill all! And if you haven’t developed this early habit of talking, don’t worry and don’t give up. Just be sure you start now. Start talking, even if your daughter doesn’t seem to be listening. She is hearing, and what you say in loving wisdom will be filed away in her mind and heart. And it won’t go away. She won’t be able to shake it or forget it. Draw your strength from the Lord and speak the truth in love (Ephesians 4:15). And if your daughter won’t talk to you, that’s okay. Just know before God that you talked, just like He asked you to do. You faithfully rang your bell. You shared truth from His Word. And take comfort in the fact that God promises His Word will not go forth in vain but will accomplish His purposes (Isaiah 55:11). And to end each day and start the next, God tells you what to do in Deuteronomy 6:7: “When you lie down, and when you rise up,” talk! Talk about the Lord, and keep on talking about Him. You can help even your tiny young daughter start her days and end them with thoughts of God in her mind. You can greet your waking girl with, “This is the day the Lord has made; we will rejoice and be glad in it” (Psalm 118:24). Or you can call out, “There you are, my precious blessing from the Lord! Good morning!” And at night, prayer is the perfect way to put a little—and big!—girl to bed. It puts her day and all that happened to rest. It calms all sorrows and soothes every hurt from the day. And it quells her fears. Like David testified, “I lay down and slept; I awoke, for the Lord sustained me,” and “I will both lie down in peace and sleep; for You alone, O Lord, make me dwell in safety” (Psalm 3:5 and 4:8). You shepherd your child in God’s behalf. The task God has given you is not one that can be conveniently scheduled. It is a pervasive task. Training and shepherding are going on whenever you are with your children. Whether waking, walking, talking or resting, you must be involved in helping your child to understand life, himself and his needs from a biblical perspective. I realize this ideal scenario does not happen in every mother/daughter relationship. Maybe the family you grew up in was not a Christian family. God knows that. He knows all about it—all about what you missed, and all about what you know and don’t know about being a Christian family and mom. So know that your mission is to begin where you are to follow the Lord. It’s never too late to receive Christ as Savior, to begin loving the Lord and growing in grace and in the knowledge of Him and His Word. You can choose any day—today, if you haven’t already—to begin diligently teaching the daughter you love, and talking to her about the God you love and who loves her. Point her to God. Encourage her in the Lord. Teach her what you know about Him from experience and from study. Pray for her with your every heartbeat. See her spiritual growth into a daughter after God’s own heart as your calling, your mission assignment from God. Commit to doing your part, and trust God to do His. Perhaps you are thinking, This woman is crazy! Well, I wouldn’t blame you. But I will tell you I am crazy about God, crazy about my two daughters, and crazy about my four granddaughters. I will also tell you that I am passionate and passionately sold out to my role as a woman, mom, and grandmom after God’s own heart. It’s just so clear what God wants His moms to be and do. Your daughter has no other mother. You are the one He has chosen to teach her. And if you don’t, what if no one does? …my mission is clear. I cannot be bought, compromised, detoured, lured away, turned back, diluted, or delayed. I will not flinch in the face of sacrifice, hesitate in the presence of adversity…I won’t give up, shut up, let up, or slow up. Think through the rhythm of your day and pinpoint your discretionary time, the time when you have a choice about how it is used, when you can choose how it’s spent. There is always time to do what’s important to you. You’ll need to find the time to get to know God—to put first things first. Once you’ve carved out a special time to be with God, begin reading your Bible—even for just ten minutes. It’s been calculated that if you simply read your Bible for ten minutes a day, you will read through all of it in one year. That’s a doable task for you as a bell sheep whose life goal is leading your daughter to Jesus. There are scores of activities that fill your day. So steal ten minutes from a nonimportant activity like time on the Internet, time talking on the phone, time watching TV. Make a daily appointment with God and allow Him to speak to your heart from His Word. Here’s a statistic for you: People remember about 40 percent of what they read. Wouldn’t it be nice to remember 100 percent? Well, you can if you memorize verses from the Bible. That’s what someone told me as a new Christian, and I followed their advice. As I shared earlier, as soon as I read Deuteronomy 6:5-7, I learned it by heart. I also picked out some verses that would help me with my daily life, including the daily challenge of being a mom after God’s own heart. Like “I can do all things [including be a mom!] through Christ who strengthens me” (Philippians 4:13). Once you store up some verses in your heart, you’ll find that wherever you are and whatever is happening, you can remember God’s words to you. And just think—as a bell sheep, you can draw your daughter to Jesus as you speak His words to her. In my mentoring ministry, one of my assignments for the women I meet with and give my time to is that they read five minutes a day on a variety of topics. They can pick the topics and the books. They can buy them, borrow them, or check them out of the church library. I do this because I’ve been reading on my own topics for five minutes a day for decades! For instance, I’ve been reading five minutes a day on marriage and family for what seems like forever. The same goes for time and life management. And health. If you do this too, you will amaze yourself as you become an expert on your subjects by merely reading five minutes a day on them. You will also be super motivated because the topic and your new knowledge is fresh in your mind. Instead of dreading something, you’ll look forward to approaching it differently and trying some new techniques or methods. Your reading will serve as a reminder and an instructor to pay attention to the areas of your life you targeted for growth. Pray, and then choose your subjects. Just be sure as a mom that childrearing is one of them. Write a letter to God about your daughter. Then read the letter to Him as a prayer. Prayer involves God. So now there are two of you taking on the challenge of raising a daughter after God’s own heart. It will seal your commitment to becoming God’s kind of mom so, Lord willing and by His grace, your daughter grows to be God’s kind of girl. File your “My Prayer to Be a Mom After God’s Own Heart” away where it is handy and can be prayed often, even daily. Your prayer is another good reminder each day to keep on keeping on in your goals as a mom and your goals for your daughter. And here’s an idea: Each year on your daughter’s birthday, slip a copy of your prayer into her birthday card. Be sure to tell her where you were and what you were feeling when you wrote it. What a gift! Before you move on to your next Mom Mission, take a minute or two to think about what you can do to track with God as a mom. Make some plans of your own to take a few small steps that make a big difference. I’m awfully busy, but I want to be the mom God wants me to be! What are several things I can do—or not do—to create some time to get into God’s Word? I want to be a mom after God’s own heart! Write these verses on an index card and carry it with me. Pick a daily five-minute time slot that works for my schedule, during which I can memorize these verses. Write out each verse ten times. Copy these verses on several more index cards and post them on the refrigerator door, bathroom mirror, computer, car dashboard. Ask my daughter to help me memorize these verses, to listen to me recite them, to be my audience, my checker, my best helper! …when we are sitting together? …when we are walking together? …when she is going to bed or going down for her nap? What are some ways I can be more faithful and “diligent” in passing on God’s truth to my daughter? Do I need to be mentored in my own spiritual growth? Who could help me? Or is there a class I can take? 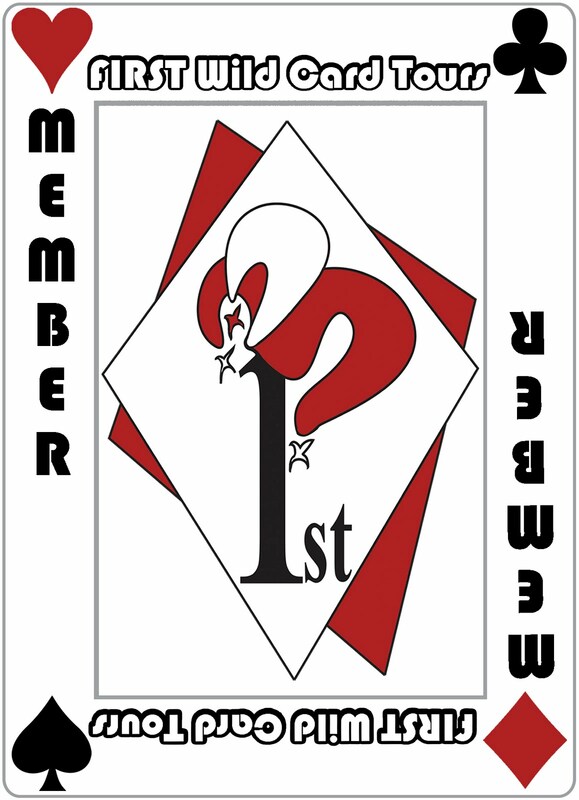 A group I can join? A book I can read?